Photo etching is a fast, efficient, and cost-effective method for the manufacture of small precision metal parts using etchant chemistries. It is well suited for development, prototype, and production volumes , and has the ability to ramp up from low to high volume runs extremely quickly. Photo etched parts are burr and stress-free, the complexity of shape is unlimited, and there is absolute flexibility to change the design at any time as the process uses easily altered digital tooling. 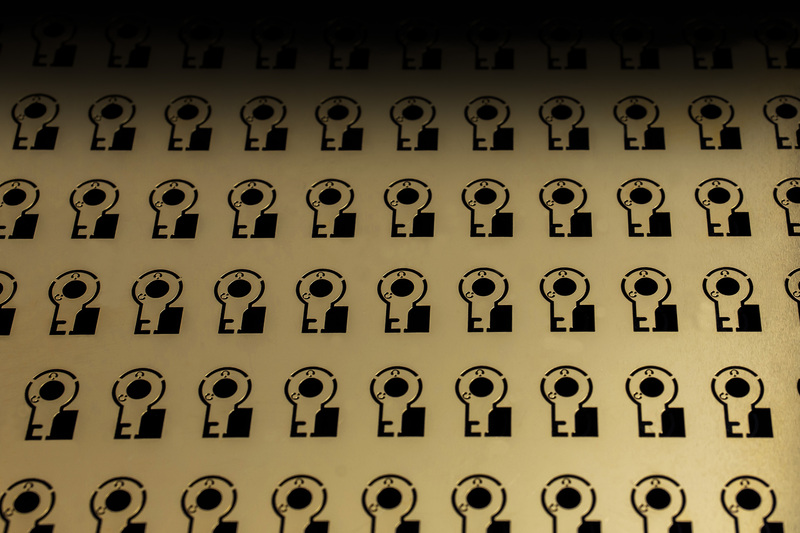 It is these attributes which makes photo etching attractive for a vast range of complex parts and components, many of which are used in safety-critical applications. 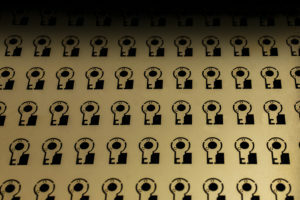 Importantly, however, photo etching has another key attribute — its ability to be applied to almost any metal. This is a product of two things: the inherent nature of the process, and in respect of Precision Micro, decades of research and development in etchant chemistries. Precision Micro is one of the world’s few production photo etching specialists, and the company has a strength and breadth of knowledge of the technology that makes a leading expert and innovator in the field. Photo etching is not a one-size fits all process. To achieve optimal results for customers from across all industry sectors, Precision Micro has to partner with its customers, get under the skin of a particular project, and of course optimise process parameters and etchants appropriate to a particular metal to guarantee success. As a company, it can apply photo etching to a range of over 2000 metal types. Virtually any metal can be photo etched, but some — such as stainless steel, copper, and nickel — are more straightforward than others — aluminium and titanium. There is a growing demand from industry for metals that are stronger, lighter and generally higher performance, whilst still working within strict cost parameters. Often it is these metals that are more difficult to machine economically, and it is here that Precision Micro’s engineering team is focussed to ensure customer satisfaction and retain its position as Europe’s market leading supplier. Below, the key metal groups that customers demand are explained, as is the approach to photo etching and typical components manufactured. Precision Micro etches more than two million steel components each month from a range of austenitic (300) and martensitic (400) series steel grades, as well as specialist grades which exhibit high fatigue strength such as Sandvik Chromflex strip steels. Due to its versatility, stainless steel is used in a wide variety of products and applications, and is often preferred due to its lower cost. Precision Micro is a specialist in producing stainless steel springs and flexures used in safety-critical applications such as satellites, ABS braking systems, biosensors, and fuel injection systems. In these applications, flexures need to ‘flex’ millions of times faultlessly, and as photo etching does not alter the fatigue strength or flatness of stainless steel it is often viewed as the optimum process. Photo etching is also used extensively in the manufacture of custom steel meshes, filters, and sieves as unlike conventional sheet metalworking, the process offers unlimited complexity — you only pay for the first hole. Also, as photo etching does not alter the mechanical surface finish of stainless steel, it has been adopted by automotive interior trim designers for the manufacture of complex and highly detailed premium automotive speaker grilles. In the medical sector, surgical grade steels with high degrees of hardness are etched to produce a range of surgical instrument — Precision Micro producing thousands of sagittal and oscillating bone saws each month. Etchant chemistries handle both hard and soft materials equally well, unlike stamping where harder materials result in tool wear and subsequent refurbishment. Nickel exhibits high resistance to heat and corrosion and is commonly used as a protective outer coating for softer metals. Precision Micro etches a variety of nickel components for the medical industry, including electrical hearing aid contacts and components for use in active implant battery capacitors. Nickel silver is the most cost-effective material choice for electronics shielding as it can be soldered, will not oxidise, and requires no additional plating. Digital photo-tooling offsets expensive press tools, and bend lines can be incorporated so components can be formed by hand. Inconel is a high-temperature nickel-based superalloy which as well as superior heat resistance also exhibits excellent resistance to corrosion, pressure, and oxidation. It is these properties which make it difficult to machine and indeed photo etch. 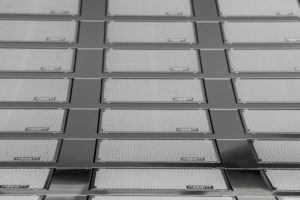 However, as a ‘hard-to-machine metal’ etching specialist, Precision Micro has developed a propriety process for photo etching Inconel, producing fuel cell plates with complex bi-polar etched channels and flow discs that come into contact with corrosive gases. Copper is often specified for electronics applications due to its high thermal and electrical conductivity. Its properties (as is the case with other metal types) can be enhanced for specific applications by creating an alloy with another metal. For example, adding beryllium increases the physical strength of copper. Copper and its alloys are highly durable, ductile, and malleable, meaning it is well suited to forming and plating post-etching, Precision Micro produces thousands of 3D electrical contacts, pins, terminals, EMI gaskets, shielding, lead frames and connectors each month for automotive, electronics, aerospace, and medical applications. Titanium is renowned for its strength, light-weight, high-temperature performance, and biocompatibility. Etching titanium is difficult due to the fact that it forms a protective oxidised coating when exposed to air, meaning it cannot be etched with standard etch chemistries. Precision Micro uses proven specialist etchant chemistries that overcome this problem and is, therefore, one of the only photo etching companies in the world that can offer photo etching of titanium on a production scale. Precision Micro specialises in etching biocompatible cranial, dental, and pacemaker battery meshes for the medical devices market. These complex and sometimes ultra-thin meshes benefit from the fact that photo etching manufactures all openings and counter sinks simultaneously, therefore making it more economical than competing laser cutting and machining processes. 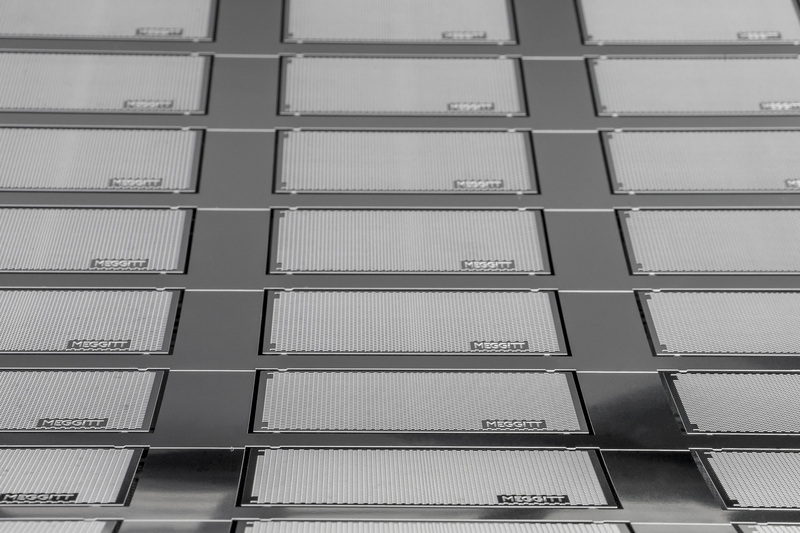 By combining photo etching and diffusion bonding, Precision Micro can also produce complex, captive channels in plate heat exchangers more economically than conventional machining or laser drilling. Aluminium exhibits many of the attributes of titanium — notably its high strength to weight ratio and natural corrosion resistance — but at a lower cost. Whereas titanium is stronger and more corrosion resistant than aluminium, it has a relatively low fatigue limit, which makes aluminium well suited to aerospace applications where fatigue limits must be high. Aluminium is difficult to photo etch effectively as the heat energy it releases during etching often results in a rough, granular edge. Precision Micro has developed a proprietary method for etching aluminium and its alloys, producing edge profiles comparable with those etched in stainless steel. It is also AS 9100 accredited, the quality management system standard required to supply the world’s leading aerospace, space, and defence businesses. Typical applications include helicopter air intake grilles which are light-weight and retain material properties during manufacture, and heat transfer plates used in aircraft dehumidifiers and engines. These plate assemblies often require multiple designs which can be set-up cost-effectively with photo etching, and include smooth channels to improve airflow. Highly versatile and cost-effective, it is no wonder photo etching has become one of today’s fastest growing metal machining technologies. An ability to etch the widest range of metals is crucial when specifying a photo etching supplier, as is partnering early in the design phase to ensure success in manufacture and a quicker route to market. Albert Tsang is the Technical Manager at Precision Micro, Birmingham, UK.